Art.Science.Gallery. 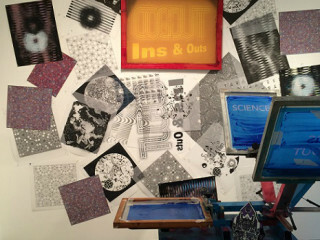 presents "The Ins & Outs of Screen Printing"
Learn "The Ins & Outs of Screen Printing" with the printakers of Austin's design studio CogDut. In this hands-on workshop, you will learn how designs become screens and about spot and CMYK colors as well as how to print on paper and textiles. Just don't forget to wear clothes that you don't mind being stained by ink!